A visit to the AUTO & TRAKTOR MUSEUM is an unforgettable experience for young and old, female and male, big and small, in good weather and in bad weather. All rooms are barrier-free and pleasantly cool in summer. We offer our little guests a tour of the museum with pedal tractors. There are various interactive exhibits in the exhibition for children. We offer the possibility to take baby carriages into the museum. Your four-legged friend is also welcome. Of course, your leashed dog is allowed on the journey through the AUTO & TRAKTOR MUSEUM, a tractor museum and car museum under one roof. We are looking forward to your visit! Please note that the charge for the guided tour does not include admission. The booking of a tour must be made in advance. The AUTO & TRAKTOR MUSEUM is an adventure world for young and old, female and male. It is the ideal group destination on Lake Constance. Whether private group, birthday, travel agency, company outing, or bus trip. It is a unique tractor museum and car museum that will delight everyone. The tour offers school classes of all grades a fabulous journey through more than 100 years of urban and rural life. You will experience an exciting history lesson in the Automuseum and Traktormuseum in connection with the development of mobility as well as the respective contemporary historical living ambience. The skilled craftsmen of that time are also represented. Our wide range includes simple group visits, guided tours and meetings that will make your visit a unique experience. The team will provide you with culinary delights from the JÄGERHOF RESTAURANT. By appointment we offer guided tours in different languages. Bus parking is available. Let us assist you in planning your visit and contact us in advance. The AUTO & TRAKTOR MUSEUM and the JÄGERHOF RESTAURANT are barrier-free and fully accessible with the wheelchair / walker or similar. Two wheelchairs are available for free at the museum cash desk. For the floor change, the AUTO & TRAKTOR MUSEUM offers two elevators. A wheelchair accessible toilet is also available. Two disabled parking spaces are located directly at the entrance to the courtyard. We offer our visitors a visual museum guide (audioguide) for the museum visit. In addition to detailed information and historical data, our visitors also get original sounds, videos and photos from that time. An engine noise, anecdote, dates and historical background are brought to the visitor through the audio guide. Enjoy your time travel through 100 years of city and country life. The audioguide is available at the museum cash desk for 3.00 Euro per person. Use the hourly ErlebnisBus 2 for your arrival. The ErlebnisBus 2 connects the port of Unteruhldingen, Gebhardsweiler and the port of Meersburg every hour during the season. On this line are the popular attractions of the Bodensee Erlebniskarte such as the Pfahlbaumuseum Unteruhldingen, the AUTO & TRAKTOR MUSEUM Gebhardsweiler, the old castle and the new castle in Meersburg. Furthermore, you can reach us by train with the Bodensee belt railway. This connects the route Friedrichshafen-Singen and runs hourly during the day. From the train station Uhldingen-Mühlhofen you can easily reach us via ErlebnisBus 2 (see above). You can plan your individual arrival by public transport with the travel information of Deutsche Bahn or on your smartphone with the “DB Navigator”. 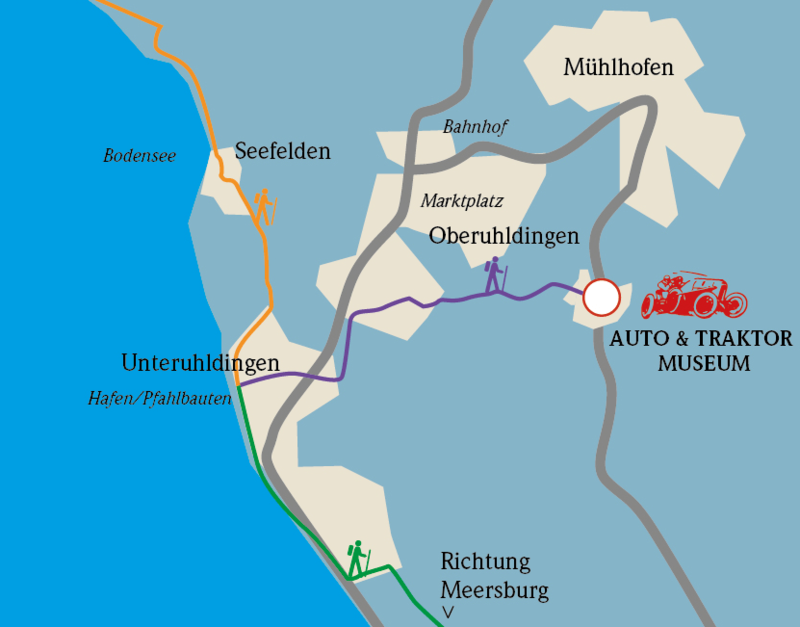 Optionally, the following route sketches give you an overview: From Uhldingen-Mühlhofen the AUTO & TRAKTOR MUSEUM is signposted. Parking and underground parking are free for museum visitors. For groups, which arrive with a coach, there is a bus stop on the K7783 (Mühlhofen-Meersburg). From there it is 100m to the entrance of the museum. Buses are available on the opposite side for 3 buses. The arrival by ship is possible in combination with public transport or footpath. You can find information on the shipping lines on Lake Constance under the following links: Bodensee Schiffsbetriebe or Vorarlberg Lines (Fast Course from Bregenz). From the landing stage Unteruhldingen you can reach us with the ErlebnisBus 2 (more information can be found under public transport) or on foot via the “Aachwanderweg zum Traktormuseum“. 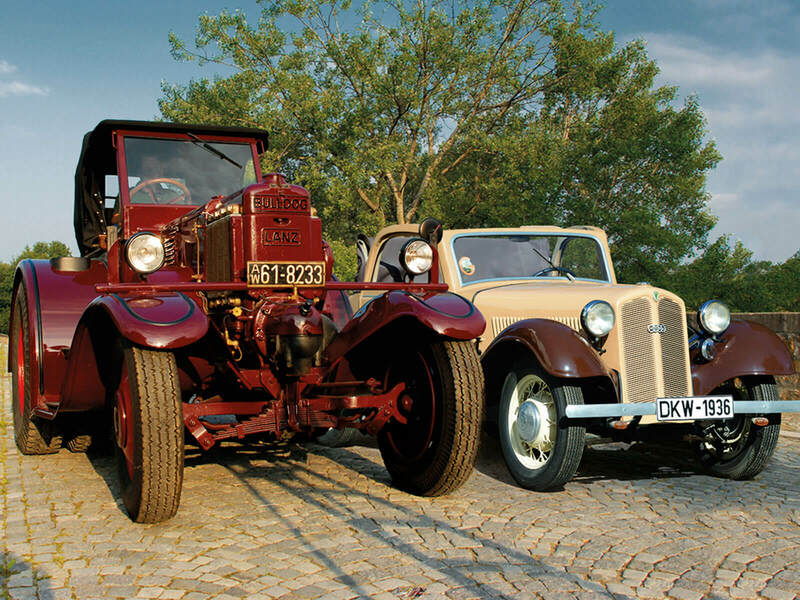 Take a leisurely walk of about 3 kilometers to the AUTO & TRAKTOR MUSEUM in Gebhardsweiler. In the center of Oberuhldingen, next to the Aachbrücke, a signposted path begins. The promenade leads along the Seefeld Aach past orchards to the museum. With the ErlebnisBus 2 you can drive back to Uhldingen-Mühlhofen, Daisendorf or Meersburg. Dogs of any kind are allowed into the museum, provided they are on a lead. The AUTO & TRAKTOR MUSEUM and the JÄGERHOF RESTAURANT are barrier-free and thus fully accessible for wheelchairs and rollators/walking frames etc. At the museum ticket office, two wheelchairs are available for use free of charge. The Traktormuseum Bodensee also has two lifts. A wheelchair-accessible toilet is also available. Taking photos for private purposes is allowed in the museum. Please note that photographic equipment may only be taken into the museum in small bags. We also sell disposable cameras at the museum ticket office. How long does a museum visit take? A visit to the museum takes approximately 1.5 hours. Can you interrupt the Traktormuseum Bodensee visit to go to the restaurant? Yes, it is possible to leave the museum at any time to go to the restaurant. Please go to the ticket office, where your hand will be stamped to allow you to return to the exhibition. Are there seats available in the museum? Yes, benches and chairs are provided around the premises. They can be used for breaks and discussions. For registered/large groups, it is possible to provide more seats in the museum. Does the 'Bodensee Erlebniskarte' include free admission to the museum? Yes, all categories are accepted. 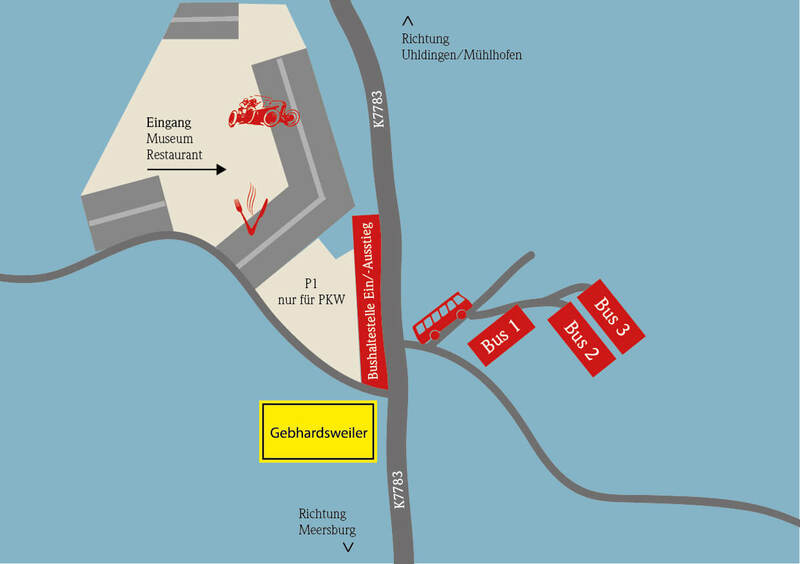 Are there vouchers for the AUTO & TRAKTOR MUSEUM and the JÄGERHOF RESTAURANT? At the museum ticket office you can also purchase vouchers for the AUTO & TRAKTOR MUSEUM. We also send out vouchers by post. Please contact us by e-mail at kontakt@traktormuseum.de with the following details: Kind of voucher required (museum/restaurant), amount (for the museum e.g. 2 adults or 1 family ticket; for the restaurant, you must specify the value, e.g. 50 €). The voucher will be sent to you by post with the invoice. We charge a flat rate for postage of 2.20 € per order. Swiss francs can only be accepted in the Jägerhof restaurant. An exchange rate of 1.30SFR = 1€ applies. Change is given in Euro. Is advance booking required for groups? Yes, it is essential to book a group visit in advance. No, the car-park and parking deck are free of charge. Is it possible to stay overnight in the AUTO & TRAKTOR MUSEUM? No, there is no provision for overnight stays on the premises. However, the IBT (Lake Constance Tourism) website www.bodensee.eu provides information on accommodation in the whole Lake Constance region. Does the museum still purchase exhibits? Where were the tractors before the museum opening? The exhibits were stored in various halls around the world. Are the classic cars outdoors? No, all exhibits are under the roof in our museum exhibition. The AUTO & TRAKTOR MUSEUM first opened its gates to visitors on 28.04.2013. Are there also tractor tours on offer? No, we do not offer tours on tractors. Since when is the collection of Fritz B. Busch integrated in the museum? Since spring 2017, many exhibits from the collection of Fritz B. Busch from Wolfegg have been integrated into our muesum. in and around the museum you will find on our news page.